Users can quickly find they plant they are interested in. 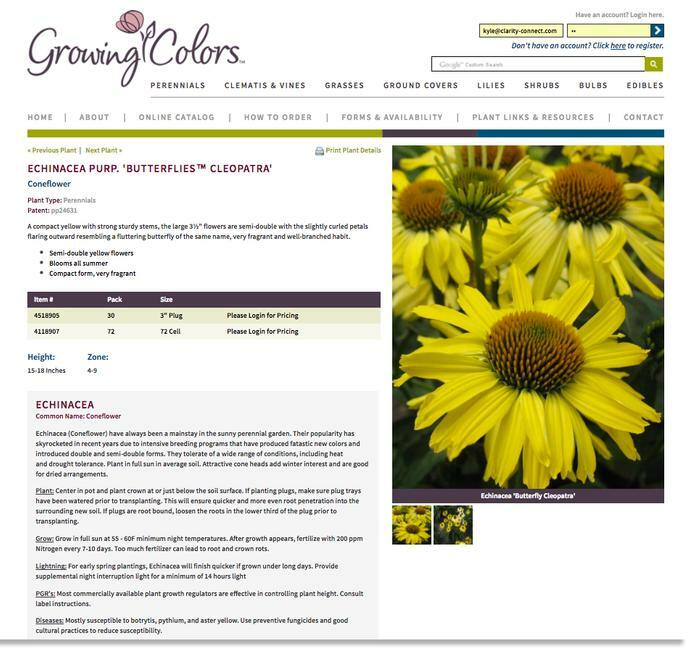 Clicking on the plant displays additional information (see next image). 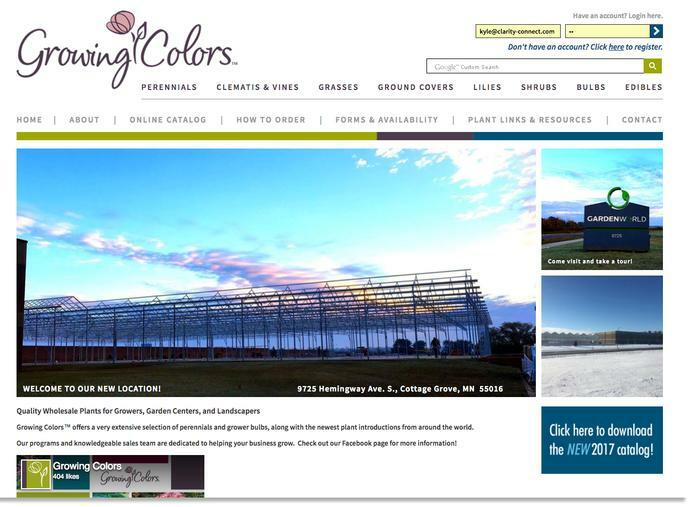 If wholesale customer is logged in, they can purchase from the GrowingColors.com plant detail page. 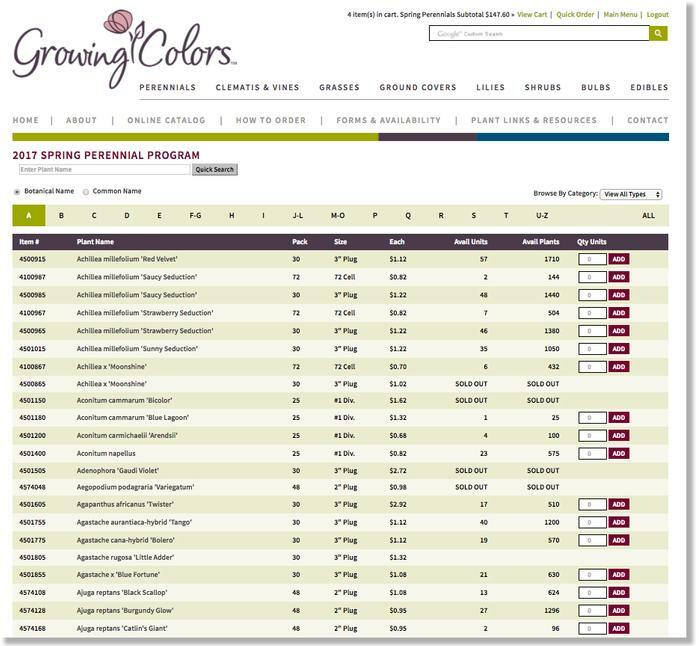 After logging in, wholesale customers can place orders easily with the 'Quick Order' functionality. 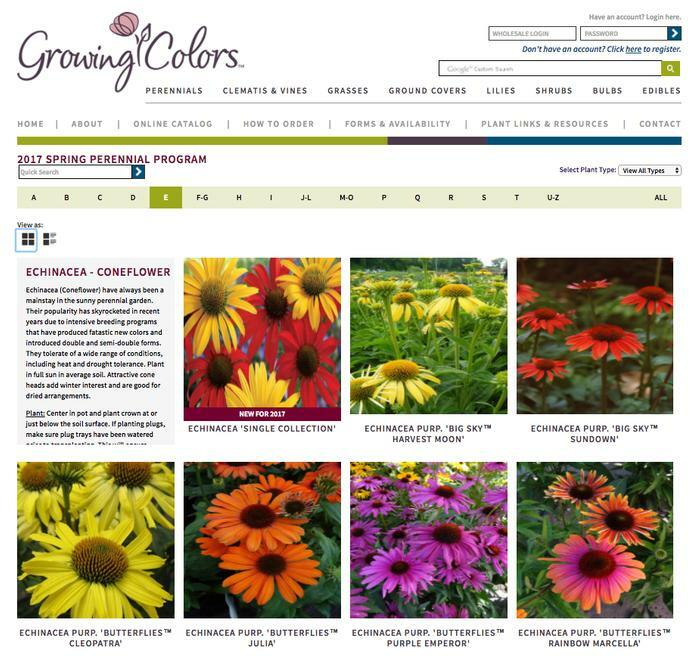 Gardenworld, Inc. is a wholesale distributor of quality perennials and flower bulbs for the Midwest Garden and sell through GrowingColors.com.